Perhaps you’ve heard the old spiritual Dem Bones—“knee bone connected to the shin bone,” etc. Now, you probably shouldn’t be using it to take notes for a human biology exam, but even if the song lyrics were completely thorough and anatomically accurate, they would still skip over a couple of bones in your feet: the sesamoids. That’s because they aren’t actually connected to any other bones at all—just tendons. What are the Sesamoids, and What Can Happen to Them? These tiny bones are about the size of peas and sit in the ball of your foot, near the base of your big toe. Most people have two per foot (although some people are missing one), and they serve two basic functions: first, they act like a pulley to help tendons glide smoothly and distribute muscle forces when pushing off during walking or running; second, they assist in cushioning shocks and bearing weight. Being disconnected from the main skeletal system, however, doesn’t always protect the sesamoids or the surrounding tendons from becoming inflamed. When that happens, the result is sesamoiditis, which may cause gradual building of pain over time, as well as stiffness or reduced range of motion in the big toe, and even swelling or bruising. If you regularly put a lot of pressure on the forefoot—say, you’re a runner or dancer, or even a baseball catcher or gardener—you are at increased risk for this condition. Because sesamoiditis can sometimes be difficult to distinguish from other painful conditions in the ball of your foot (such as Morton’s neuroma), persistent ball of foot pain should be checked out by Foot Doctor of the East Bay to ensure a correct diagnosis is made. Treatment of sesamoiditis is usually quite conservative. Since this is an overuse injury, the initial approach usually involves some rest—if you’ve been engaging in activities that put a lot of stress on the forefoot, give yourself a break for a while until the pain subsides, then ease yourself back into activity slowly. In the meantime, ice and anti-inflammatory medication can reduce pain and swelling. For more extreme discomfort, we might recommend a steroid injection into the site to help you manage symptoms. Depending on your situation, footwear modifications and orthotics can make a big difference. It might be as simple as switching to a good pair of supportive footwear—no heels—but will likely also include assistive devices such as cushioning pads, taping, inserts, or custom orthotics. Our experts will help you figure out which adaptations will be the most effective for your situation. In the vast majority of cases, these simple measures are enough to relieve pain in the forefoot and get you back on your feet. However, if painful symptoms persist after exhausting conservative care options, surgical extraction of the offending sesamoids may be an option. As with any surgery, this comes with potential risks and side effects, so we’ll talk over the pros and cons with you to see if it’s the right choice for your lifestyle. 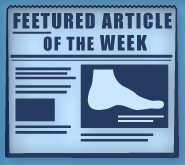 Most foot pain, including sesamoiditis, is treatable. Yet many people will live with dull pain or discomfort for years before making the call. Don’t be one of them! You can reach Foot Doctor of the East Bay at (510) 483-3390 to set up an appointment at one of our offices in San Leandro, Pleasanton, or Los Gatos—well within reach for anyone in the Bay Area. Come in and see what our experts, Dr. Stein and Zeindelin Ahmad, DPM, can do for your chronic pain.